The last time a team started the season with three consecutive 1-2 results was Williams back in 1992. 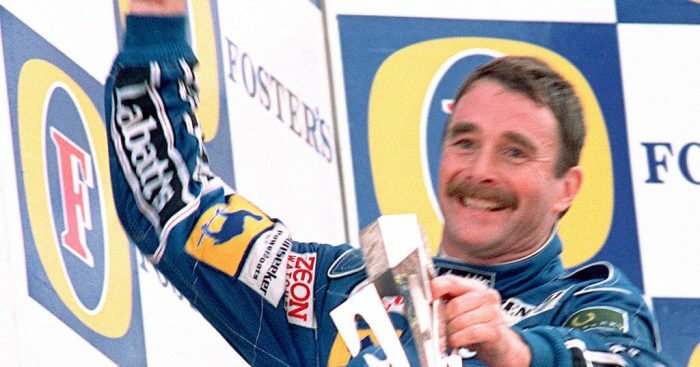 That year Nigel Mansell won the opening five grands prix with his team-mate Riccardo Patrese runner-up in four of those. Ayrton Senna eventually broken Mansell’s streak at the Monaco Grand Prix but another four wins from Mansell handed the Brit his first – and only – World title. Patrese was second. Williams won the Constructors’ title with 164 points to McLaren’s 99. Brawn has poured cold water over suggestions that this year could see a similar performance from Mercedes. “Despite the statistics being racked up by Mercedes, I don’t believe that 2019 will follow the same script as ‘92,” he said. Expanding on that, the F1 sporting boss added: “In Bahrain a fortnight ago Ferrari dominated qualifying and save for the technical woes that derailed their efforts in the race, the team were heading for an emphatic victory with Charles Leclerc. “In China, however, the performance pendulum swung towards Mercedes, as was the case in Melbourne. “Red Bull, especially in the case of Max Verstappen, are ready to pounce, proving that this year’s switch to Honda is so far beginning to show results. “However, one has to accept that Mercedes can still draw strength from the fact it has been the dominant force over the past few years, as can be seen by the way it fought back last year when it seemed that Ferrari had pretty much caught up in performance terms. “Of course, I have nothing against Toto Wolff, Lewis Hamilton, Valtteri Bottas and the many friends I still have in that team, but I hope that 2019 won’t be a repeat of 1992.